Today we’d like to introduce you to Chris Koziel. My journey in the computer field began 21 years ago. I earned a degree in computer science, and landed my first job as a computer programmer coding sales tax applications. My second job was as a network administrator / programmer at a retail – wholesale company with multiple locations. It was at this time, where I realized my passion for the industry and started to think about my own computer business. 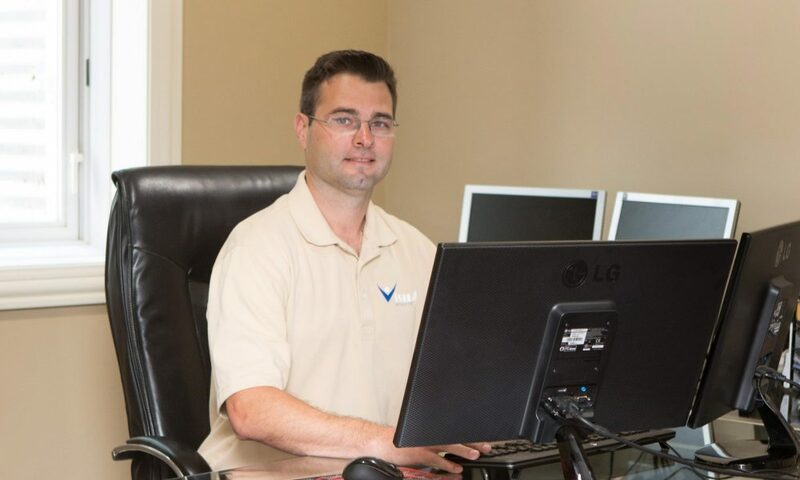 After 10 years in the industry, I pulled the trigger and founded Visual Computer Solutions in 2007 offering all types of services including computer networking, database design, network troubleshooting, and website design and development. In the beginning stages of the company, I held a part time job as a website integration programmer at one of the biggest website companies in the United States. As time moved on, the website design and development portion of the business started to grow. So, the company changed directions and was re-named to Visualwebsite.com. Starting the business was definitely a challenge. The hardest part is making the first move, and actually doing it. Visualwebsite.com built one client at a time. Secondly, technology moves so quickly. Staying on top, and providing customers with the right technology is very important. As a business owner, you have to learn all facets of business. Accounting, advertising, client meetings, and late nights are all part of starting your own business. Lastly, the website industry is a very competitive market. So it is important to be transparent to your customers, and provide them with the best customer service and products. So, as you know, we’re impressed with Visualwebsite.com – tell our readers more, for example what you’re most proud of as a company and what sets you apart from others. Visualwebsite.com provides website design, website development, database development, website hosting, and website integration services. What sets us apart is our vast knowledge in the industry and transparency to our customers. We have developed our own proven and tested Content Management System, and also own our data-center for website hosting. Several clients started a relationship with Visualwebsite.com because we had the knowledge to complete some intensive programming and integration websites. Visualwebsite.com specializes in building website applications that have never been built before. We enjoy writing custom modules that wrap around the customers business logic. We now have over 100 active website clients, and enjoy providing them with transparent and honest website services. Our main goal, is to help clients grow their business. We want to provide a valuable product that not only looks great, but provides value and growth to our clients. We are proud of the positive feedback that we receive from our clients, and the challenges of the industry make it all worthwhile. Lastly, we like to educate our customers on different options available for their project. Visualwebsite.com provides the best solution based on each individual project need. Chicago is a very diverse city. I enjoy the different ethnic restaurants around the city, and the abundance of activities to do with my family on the weekends.